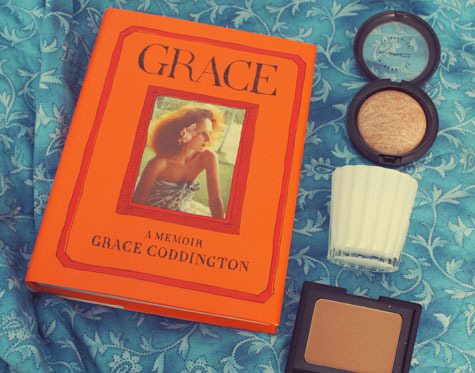 ♥ Favourite Book Grace-A Memoir by Grace Coddington. 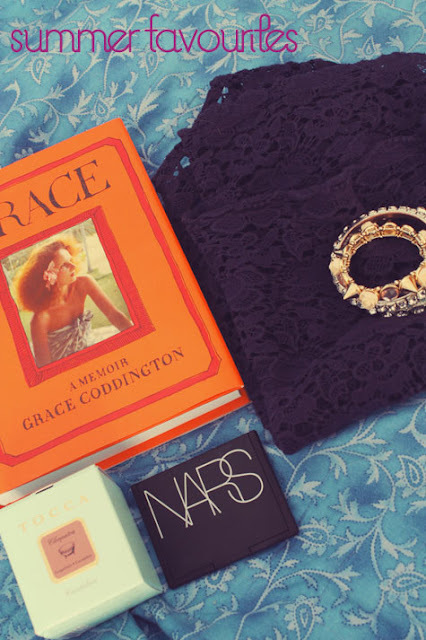 This was one of the most anticipated fashion books of the year & it certainly lived up to its expectations. Grace has had one of the most inspiring careers in fashion & all its highlights are well documented in this book. I loved all the illustrations done by Grace & photographs throughout. If you want to know more about this book you can find my review here. ♥ Favourite Beauty Products MAC's Mineralize Skinfinish in Soft & Gentle & NARS' Laguna Bronzer. Admittedly my makeup routine has been pretty basic over summer but I haven't been able to live without either of these. The skinfinish leaves the most gorgeous natural highlight on cheekbones & makes a great eyeshadow colour as well. The bronzer is my new best friend for contouring & adding a bit of colour to my face whilst still looking naturally tanned. ♥ Favourite Candle Tocca's Cleopatra Candle. This smells amazing as the scent is a blend of cucumber & grapefruit. Sometimes I get this out of its box just to let the fragrance perfume my room for a while. The packaging is absolutely gorgeous too & this miniature size is great for travel. 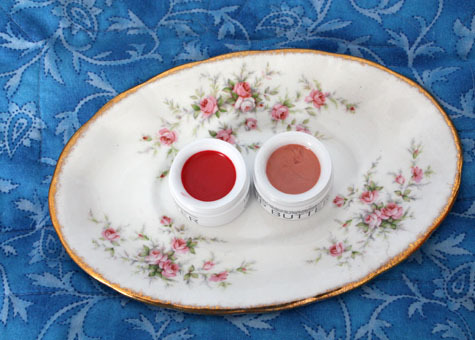 ♥ Favourite Lip Product Korres Lip Butters. Like the Tocca Candle these butters are packaged beautifully. The lip butter itself is super hydrating & melts into the lips. You also get the added benefit of subtle colour & scent as they are all tinted. These are an absolute makeup bag staple. ♥ Favourite Nail Colour OPI's Mermaid Tears. This colour is pretty similar to what Leah used on my nails recently although a touch darker. It is the most beautiful green-blue colour ever & with a top+base coat it lasted two weeks on my toes without chipping. ♥ Favourite Fragrance Jo Malone Basil, Lime & Mandarin Cologne. This smells divine & I'll be so sad when this miniature bottle runs out. This fragrance also lasts the longest on me during the day as well. ♥ Favourite Garment Glassons Crochet Top with sheer detailing. This top was in Glassons' post Christmas sale & I love it. It looks perfect with skirts or denim shorts. It is also navy, crochet & sheer, three elements I love in a shirt. ♥ Favourite TV Series Gossip Girl S1-4 (I haven't seen 5 or 6). I started re-watching Gossip Girl late last year & have been addicted all Summer. This show is just too good. Since I know who Gossip Girl is I've also been keeping an eye out for any clues/hints about their identity earlier on. 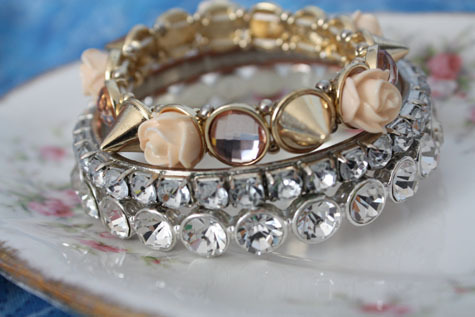 ♥ Favourite Accessory Bangles! 1) Lovisa in a sale & 2+3) Part of separate sets from Forever New. For some reason I always end up living in bracelets during Summer more than any other time of year. They're so great to layer & I love looking at them sparkle under the sunlight.